Ideal to use during math groups or at any time as a fun brain break game. 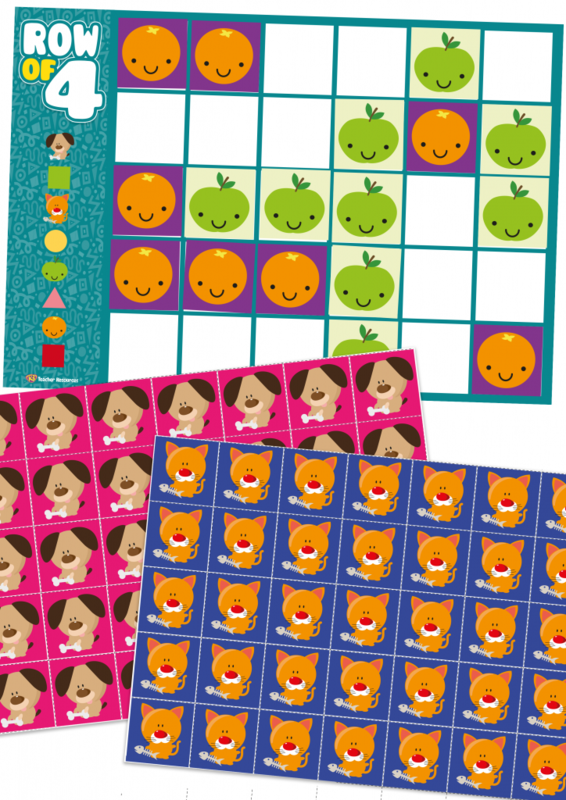 8 x sets of counters, with four themes to choose from – fruits, animals, shapes and colours. Select the colour option required. Print one or more copies of the instruction card for the teacher and adult helpers. Print and laminate the game board (enough for one per partner). Print, cut and laminate the counters. Sort the counters into sets and categories and keep them safe in clip lock bags. Use the instruction card to explain the rules of the game. Arrange the students into pairs. Provide each pair of students with one game board and two sets of counters.